September 25 marked the delivery of the first production Boeing EA-18G Growler to the US Navy.The Boeing EA-18G Growler is a new airborne electronic attack (AEA) aircraft that will replace the EA-6B Prowler, the Navy’s current AEA aircraft that has been in service since 1971.The Growler was delivered to the Navy ahead of schedule and within allocated budget. Expected by the Navy in 2009 the Growler had its maiden flight on August 16 2006 at Lambert International Airport in St. Louis. 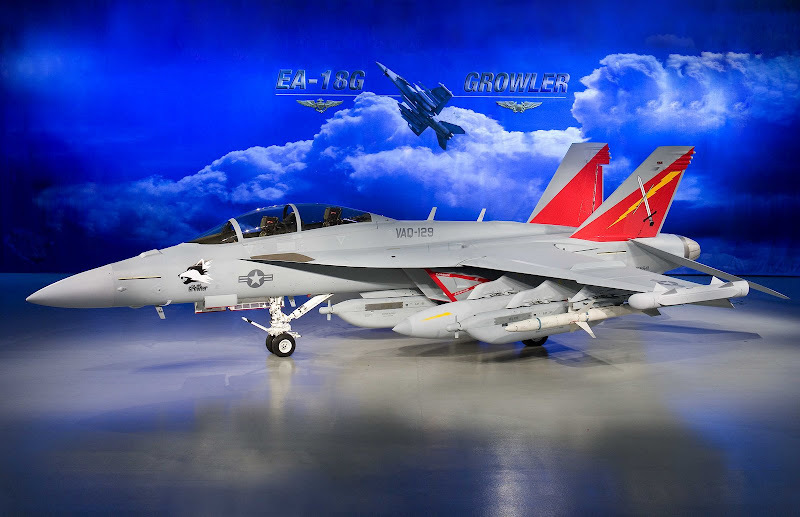 Based on the F/A-18F Super Hornet the EA-18G Growler incorporates the latest in electronic warfare equipment designed and produced by the Northrop Grumman Corporation. By using the Super Hornet airframe both the Boeing Company and the Navy take advantage of the existing capabilities as well as known reliability and maintainability characteristics of the F/A-18F Super Hornet while providing an advanced AEA platform at a fraction of the cost and time of a completely new aircraft. As x military and more importantly a maintainer who worked on both the hornet and the tomcat i can say there are advantages to having one airframe on the deck. However there are grave problems in placing all of your trust with one machine. particularly one that is a jack of trades and master of nothing. From the mouth of ECMOs i have heard that the G simplay can not do the job of the prowler. Not surprising since it is not the attack craft the A6 was or the fighter the F14 was and is certainly not the jammer the EA6 was. While tacticle priorities have changed the need to dominate has not.